Thank you so much for following through & sharing your thoughts on the "W-S" topic. P.S I really like the remnants of the scar at the trunk base as is , it has healed nicely & the subtle hint of damage looks just fine. I look forward to seeing future updates / progression shots in the future. Wow looks great! Keep up the good work and progress. Your kind words warm my heart, thankyou. Kudos to the grower as they have doen a cracker job on its development and I hope to see many more updates in the future. IMHO re the pot, i like the current one much more than the original. Yep the tree can be 20% wider and then it will fir nicely and be an excellent match for the tree. the original pot is far too deep for the tree when the new one is just right I reckon! Agreed Ken, and possibly in the future I'll find something more suitable for the tree too. 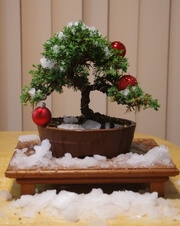 The grower is Tien from Bonsai Sensation in Narre Warren, Im not sure if this tree was one of the ones John grew for him in the past. I hope to update in summer if the tree is healthy enough for candle pruning, but I'll decide later on base on it vigour. Just a quick update, the tree has ben slow to get its buds moving, but they are moving now. Itll be ready to candle prune as long I am happy with the health and vigour in December; but everything is tracking well so far. had some photography done by a new friend who is a bit of a gun on the camera. Last edited by bunce on November 22nd, 2017, 5:29 pm, edited 12 times in total. Very nice tree! Love the pot. Beautiful photo. Great little pine. Is the soil constantly wet? The moss on it and on the lower part of the trunk suggest it is constantly kept moist. I thought this is not ideal for pines. 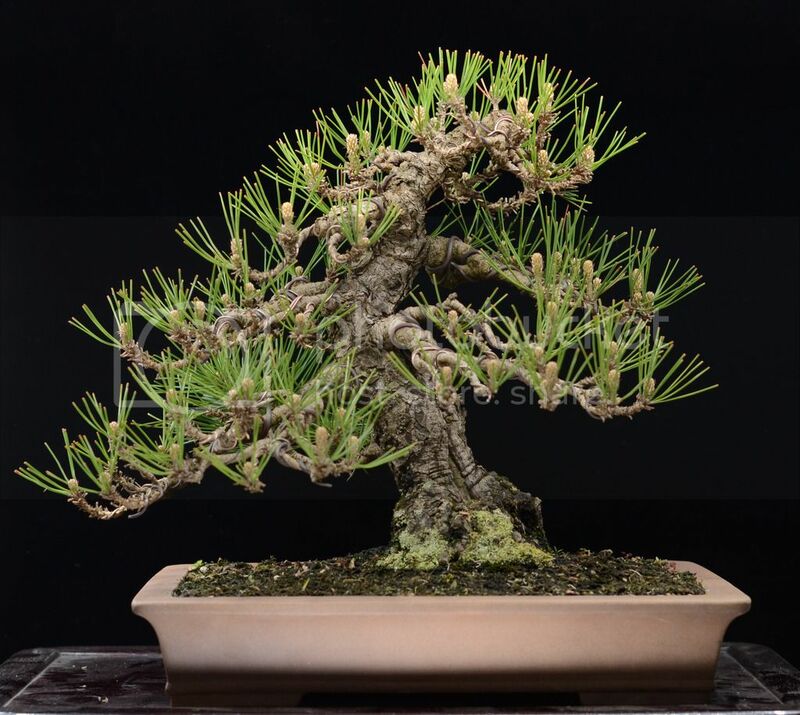 Most of the photos I see of pines in Japan suggest they are kept mostly on the dry side. I.e. lack of surface moss. Hi Bunce, yes your photography looks good. Your health/vigour not so good at the moment, least four months out of sync with grow rate for those candles(state ), coming from big growing pot to way too small finished pot ( I know you like it ) but removing that much rootball to fit and then nailing the top for a apical grower that helps induce health and power has I believe has cost you there.... I know you seem to be in a hurry to develop but would it not be wise to let the growth go this year,( especially in Melbourne) just curious and thinking out loud. Last edited by anthonyW on November 23rd, 2017, 9:28 pm, edited 1 time in total. longd_au wrote: Beautiful photo. Great little pine. 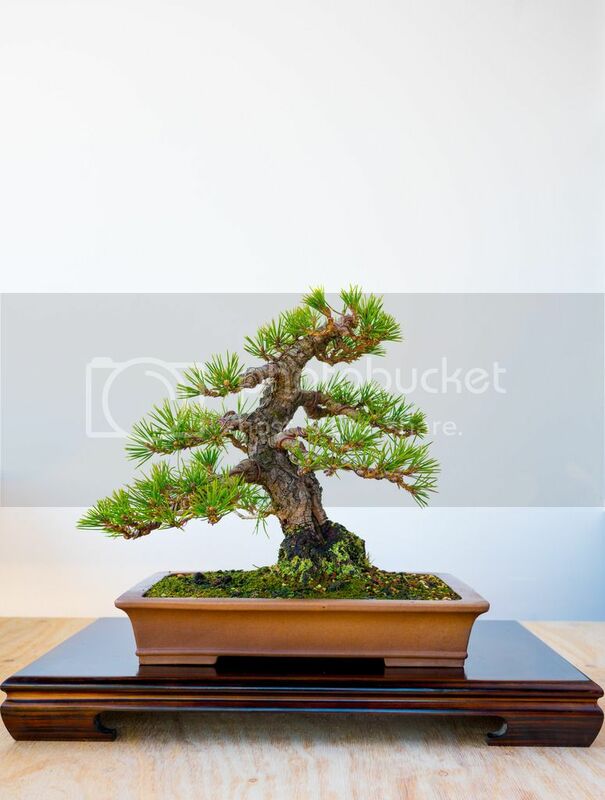 Japanese Black Pine are naturally from the southern half of Japan, near the coast, where in the growing seasons, is quite wet and stormy. The moss is growned sphagnum moss which is spread on top to hold moisture in. The soil is a 1:1:1 akadama, lava rock and pummice, so incredible free draining soil. This means that the soil will never get sopping wet like pine bark mulch based mixes. Black pines thrive on a wetter diet than other pines, because genetically they evolved to enjoy wetter climates compared to other pines. The moss however, was from the tree's earlier life, and has remained because I don't want to interfere with the nice flaky bark. anthonyW wrote: Hi Bunce, yes your photography looks good. These photos aren't taken on the same day as posting on the tread. its at least 4 weeks before posting. So everything is tracking just fine. Tree is growing along nicely, after an adjustment and appraisal from Bjorn Bjorholm, a needle pluck and a touch of fertiliser this tree is moving along nicely through spring. looking forward to the autumn as this tree will really pop then. Really nice tree, I like it a lot and your photo skills are off the charts . Designated photography room ? I think the technical term is 'bloody brilliant'. you are right in saying it will reveal more of the trunk line, however it is holding the composition together. 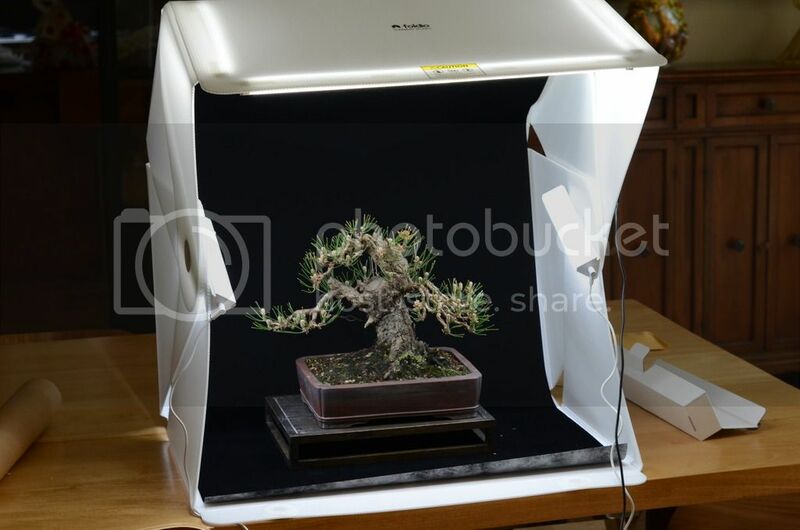 The branch directly above it is rather ugly and non-conforming to the guidelines of bonsai, so the role of the branch in question is to negate some of the negatives of the branch above. really in-depth analysis though, love it! Matthew wrote: Really nice tree, I like it a lot and your photo skills are off the charts . Designated photography room ?